You must make reservations at least 5 minutes in advance of the time at Yeti Restaurant - Santa Rosa. We offer catering, please call the restaurant for more information. We can section off an area for your dining party, please contact the restaurant for more information. Homemade triangular pastry filled with potatoes, green peas and bell peppers, lightly spiced with garlic, ginger and cumin, deep-fried and served with a tamarind and mint sauce. Himalayan spiced garlic, ginger, onions slices and mixed in garbanzo batter. This is deep fried until golden brown and served with a tamarind and mint sauce. Shelled prawns dipped in a lightly spiced batter of garbanzo flour with spices. This is served with a tamarind somname mint sauce. Minced chicken mixed with himalayan spices wrapped in flour dough, steamed in newari style and served with somname mint sauce. Minced vegetable mixed with himalayan spices wrapped in flour dough, steamed in newari style and served with somname mint sauce. Ground lamb & beef with himalayan spices and served with somname mint sauce. Fillets of chicken spice with cumin, ginger and yogurt cooked in the tandoor and tossed in somname sauce. Lentil cream soup with delicate spiced vegetables. Tomato soup, roasted garlic, cumin. Your choice of dressing: vinaigrette dressing homemade mustard dressing- selected mustard, vinegar, roasted garlic, honey and mint. A traditional salad presented in our chef style. Tender chicken tikka, avocado, tomatoes and mushroom slices, served with your choice of dressing. Mixed spring greens with avocado, tomatoes, mushroom and radishes, served with your choice of dressing. Long grain basmati rice is cooked in ghee with sautéed onions, dry fruits and saffron. Served with raita. Saffron flavored basmati rice with garnish of peas. Saffron flavored basmati rice with prawns, onions, tomatoes, coconut gravy, and a dash of basil. The tandoori is a unique oven used in northern india. '+' It is a large urn-like pot made of clay giving a characteristic smoked flavor. All tandoori dishes are served on a bed of onions, bell peppers and vegetables. Fresh fillets of mahi mahi, marinated in yogurt, tomatoes, garlic and a touch of himalayan spices, skewered and roasted in the charcoal fired tandoori. Shelled king prawn, lightly marinated in garlic, ginger, yogurt and smoked in charcoal tandoori served with somname sauce. Fresh fillets of salmon, marinated in yogurt, garlic, ginger and a touch of himalayan spices, skewered and roasted in the charcoal fired tandoor. Rack of lamb cutlets, marinated in yogurt, ginger, mint, garam masala and mustard oil, coriander powder and roasted in the tandoori. Chicken marinated overnight in yogurt, ginger, and garam masala. Roasted in the tandoori until lightly smoked. Fillets of chicken spiced with cumin, ginger and yogurt roasted in the tandoor and served with mint sauce. A mixed platter with prawn tandoori, lamb boti kebab, fish tikka and chicken tikka, served with somname mint chutney. Cube of lamb kebabs marinated with ginger, garlic coriander leaves, chili, spring onions, smoked in the tandoori and served with mint sauce. Cube of beef kebabs marinated with ginger, garlic, coriander leaves, chili, spring onions, smoked in the tandoori and served with somname mint chutney. Lentils are simmered overnight over the lightly glowing embers of the tandoori together with onions, chili, ginger, fresh cream and butter, with garnish cilantro tomatoes and sprout beans. Wedges of eggplant and potato, tossed with onions, tomatoes, curry leaf, mustard seed, cumin seed and a dash of himalayan spices. Mixed fresh vegetables in a dry spicy sauce. Eggplant baked in the clay oven and cooked in onions, tomatoes and himalayan spices. Cubed farmer's cheese and green peas in spiced gravy. Vegetables in a mild himalayan cream sauce and dry fruits. Mushroom and green peas in spiced gravy. Creamed spinach and paneer (homemade farmer's cheese). Fresh sonoma garden okra cooked with onions, tomatoes, garlic and ginger and house blend spices. Garbanzo beans cooked with mango powder and indian spices. Black tiger prawns cooked in gravy made of onions, tomatoes, mustard seed, curry leaves, a dash of red chili and coconut milk. Rich gravy of coconut cream, fresh basil leaves, tomatoes and a dash of chili does justice to the flavor of prawns. A popular dish of moderate spiciness, or hotter if desired. Tilapia fish fillets cooked in gravy made of onions, tomatoes, mustard seed, curry leaves, a dash of red chili and coconut milk. A rich gravy of coconut cream, fresh basil leaves, tomatoes, a dash of red chili and white wine does justice to the flavor of lobster. Mildly spiced chicken curry slowly cooked in creamy onion gravy. Chicken tikka pan fried in a creamy gravy of onions, garam masala, butter cream, ground almonds, tomatoes and paprika. This dish is pleasantly mild. This southern favorite is cooked with tomatoes, onions, chili, mustard seeds and fresh curry leaves. Chicken and potatoes cooked in sautéed onion gravy and topped with sweet and sour tamarind chutney. Chopped fresh spinach with chicken and spiced with fenugreek, fennel, onions and garlic. This popular dish is from the region of punjab. Chopped fresh spinach cooked with diced lamb and spiced with fenugreek, fennel, onions and garlic. This most popular dish is from the region of punjab and is moderately spicy. Mildly spiced lamb curry slowly cooked in creamy onion gravy. The ever-popular, full flavored moderately spicy lamb curry cooked by an old family recipe, with ground onions, garam masala, coriander seed, a touch of chili powder, and garlic. Braised lamb and potato cooked in sautéed onion gravy and topped with sweet and sour tamarind chutney. Meaty lamb shanks, slow cooked with the chef's special blend of freshly ground spices, tomatoes, onions, ginger, chili and cardamom. A bread made to order here especially for you. Naan is a leavened bread baked in the tandoor. Naan stuffed with potatoes, peas and himalayan garam masala. In the traditional Indian and Nepalese fashion we suggest a selection of the following to complement your meal. Basmati rice cooked with whole spices, garlic, cashews, almonds, a sprinkling of raisins, fried onions and coriander. Tandoor baked paper-thin lentil crackers. A combination of cucumber and yogurt mildly spiced with pepper, coriander and cumin. Homemade milk based sponge dumpling deep in sweet rose flavored with green cardamom. Soft cheese dumpling known as "paneer" immersed in sweetened creamy milk and flavored with green cardamom and pistachios. Wonderful food, service and ambiance. We enjoyed our meal, and hung around to listen to some great live dinner jazz that was present, but not intrusive. Excellent menu with plenty of vegetarian options. Servers were friendly, and efficient. Can't wait to go back! Probably the best Indian/Nepalese food I’ve ever had. Delicious food as usual. Our "to go" place for Indian food. For some reason service was not up to par this time. We ate our meal off salad plates since no regular size dinner plates were brought to our table when the meal was served. Perhaps they need an extra dish washer? Our experience at Yeti was wonderdul. They had some of the best Indian food we’ve ever had. There was very nice live jazz music and the interior was tastefully decorates and comfortable. We ate dinner at Yeti with 3 adults and one child. We will go again and would recommend Yeti to anyone who likes Indian food. A really classy, excellent Nepalese Indian restaurant. Never disappoints. Over all the food was good, but the service wait time for your food is lacking; too slow. We were the second group to arrive for opening time (5:00P.). First order of food arrived at 5:55. That is a long time for an appetizer. There were several other people that arrived after we had and their order arrived before ours. There was 1 server for the whole restaurant at lunch so even though there were only 6 parties in the entire place, the service was extremely slow and lackluster. Even when the server stopped by, she was not helpful. We asked what the difference is between the Nepalese version and Indian version of the same named dish and she responded that one was from Nepal. No recommendations, no ability to talk about the food, and no follow up. We would’ve preferred ordering on an iPad. If the service was better, I would return. The food was very good - I enjoyed the leftovers that I brought home with me. Excellent Nepalese food well prepared and full of flavors. Staff is friendly although service could use some polish. Nice jazz combo playing made for a nice ambience. Highly recommend. The food is always great for lunch. It is a little pricey for lunch but well worth it for the quality. Actually they did lower their prices a bit. Always love the Yeti food and staff! My partner & I had a very nice meal that was reasonably priced. We always enjoy the delicious and unique menu at Yeti! It’s a great place to take guests and to enjoy meals during the week. It was really good. I went for my moms birthday. I just can’t eat the food because i have a sensitive stomach. We live in Santa Rosa (where the restaurant is located) and Yeti's is one of our favorite places. On occasion when we entered the music was at a higher level than we wished and when we asked that it be lowered it always was. The people who serve you are incredibly nice and food is delicious. Every time we go we totally enjoy it. Wonderful diner! Outstanding service. We had a group of 10 (including 5 children) and they were very accommodating. Food was amazing! Many vegan options. We will definitely be going back there! Yeti's in Santa Rosa is a fine Indian restaurant. The food is quite good, though the ambiance is nowhere as near as good as the Glen Ellen Yeti (Santa Rosa is a re-furbished Lyons). Service is excellent, parking is free, and prices are reasonable. food was ok but $$$ it was quiet on a saturday nite the naan bread was the best ever!!! 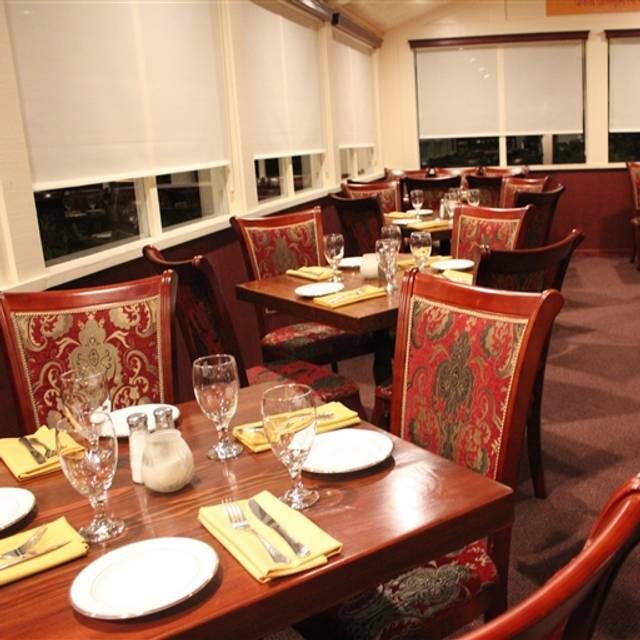 Yeti is the best Indian/Himalayan food in the Santa Rosa area, with fresh ingredients, creative menu, good spice levels, amazing naan bread, it is the place to go if you are craving high quality Indian cuisine. The service was a bit slow on a weeknight that was terribly busy but very friendly and thoughtful. Will definitely return. Good food, great service! We definitely recommend! only 3 people in the restaurant - I was the second guest. I did not receive service after 8 minutes I left. One can never go wrong with the chicken masala at Yeti! We had the samosas and bhajis as well. Both came with a mild, medium and spicy sauce that were absolutely delicious! Yeti has never let us down! The food is excellent and the service attentive. Large portions, so we always take home enough for another meal at home. The wine is priced fairly and the pours are generous. We also love their other restaurant in Glen Ellen. i took my mom there for something different. I am trying several restaurants in the Santa Rosa area to pick one to celebrate her 100th birthday. I wanted to try the buffet so that we could get a sample of their curries and other dishes. The food was tasty and the servers attentive. A nice new experience for her and I know she liked it as she finished her plate. A nice hidden gem. I was greatly looking forward to another meal at Yeti. Unfortunately, the fish masala was underwhelming. The others ordered the chicken masala which was delicious. The garlic and garlic cilantro naans were delicious. We had onion bhajji for appetizers and chicken tikka masala with rice and garlic naan. Yeti has made an effort to create a nice environment with gentle lighting and music and very good food, but their restroom is awful! They need to extend their attention to the restroom and make it as nice as the rest of the establishment. I was quite disgusted. Good happy hour menu with nice selection of food. Happy hour 4-6 every day. The service was very slow. It was Saturday night of Restaurant Week, but nonetheless, it was at least 1/2 hour before anyone greeted us or gave us water and menus. Once we ordered, the service was excellent and the food, as always was delicious! We were never given a special menu for Restaurant Week. I didn’t think about Restaurant Week, having forgotten about it, and it wasn’t the reason we came to Yeti’s that night. We came to celebrate my husband’s 77th Birthday and Yeti’s is one of his favorite restaurants. wonderfully tasty food, live music a tad bit too loud though. Excellent food but the service, while nice, missed a few steps, in not delivering ordered drinks twice, and not checking on the table at all, necessitating waiving down staff. Still: great food! Excellent Indian food - great service and attentive staff. Portions are very good size. If you're not hungry you'll surely take some home. Service was poor. Food overly spicy. Not as good as last time. I love Yeti! Always fresh & delicious. I love the ambience & the cocktails too.